In many customer engagements, I need to establish a basic set of principles of SOA. The following sections introduce fundamental principles that a Service-oriented Architecture (SOA) should expose.These are not introduced as an absolute truth, but rather as a frame of reference for SOA-related discussions. You’ll note that the first four are based on Don Box’s four tenets, although over time they may have acquired a slight personal spin. Everything needed by the service to provide its functionality should be passed to it when it is invoked. All access to the service should be via its publicly exposed interface; no hidden assumptions must be necessary to invoke the service. “Services are inextricably tied to messaging in that the only way into and out of a service are through messages”. A service invocation should – as a general pattern – not rely on a shared context; instead service invocations should be modeled as stateless. An interface exposed by a service is governed by a contract that describes its functional and non-functional capabilities and characteristics. The invocation of a service is an action that has a business effect, is possibly expensive in terms of resource consumption, and introduces a category of errors different than those of a local method invocation or remote procedure call. A service invocation is not a remote procedure call. While consuming and providing services certainly should be as easy as possible, it is therefore undesirable to hide too much of the fact that an interaction with a service takes place. The message sent to or received from the service, the service contract, and the service itself should all be first-class constructs within the SOA. This means, for example, that programming models and tools that are used should at least provide an API that exposes these concepts to the service programmer. In summary, a service exposes its functionality through an explicit interface that encapsulates its internals; interaction with a service is an explicit act, relying on the passing of messages between consumer and provider. Starting from a service description (a contract), both a service consumer and a service provider should have everything they need to consume or provide the service. Following the principle of loose coupling, a service provider can not rely on the consumer’s ability to reuse any code that it provides in its own environment; after all, it might be using a different development or runtime environment. This principle puts severe limits on the type of data that can be exchanged in an SOA. Ideally, the data is exchanged as XML documents validatable against one or more schemas, since these are supported in every programming environment one can imagine. As a consequence, adherence to this principle is not possible in a DCOM-based or RMI-based environments - which basically rules them out as a valid option for SOA. the technical capabilities and needs must match. For example, a service provider may offer exactly the service a consumer needs, but offer it over JMS while the consumer can only use HTTP (e.g. because it is implemented on the .NET platform); a provider might require message-level encryption via the XML Encryption standard, while the consumer can only support transport-level security using SSL. Even in those cases where both partners do have the necessary capabilities, they might need to be “activated” – e.g. a provider might encrypt response messages to different consumers using different algorithms, based on their needs. To support access to a service from the largest possible number of differently equipped and capable consumers, a policy mechanism has been introduced as part of the SOA tool set. While the functional aspects are described in the service interface, the orthogonal, non-functional capabilities and needs are specified using policies. Related to the explicit boundaries principle, a service is autonomous in that its only relation to the outside world – at least from the SOA perspective – is through its interface. In particular, it must be possible to change a service’s runtime environment, e.g. from a lightweight prototype implementation to a full-blown, application server-based collection of collaborating components, without any effect on its consumers. Services can be changed and deployed, versioned and managed independently of each other. A service provider can not rely on the ability of its consumers to quickly adapt to a new version of the service; some of them might not even be able, or willing, to adapt to a new version of a service interface at all (especially if they are outside the service provider’s sphere of control). To interact with services, data is passed as documents. A document is an explicitly modeled, hierarchical container for data. Self-descriptiveness is one important aspect of document-orientation. Ideally, a document will be modeled after real-world documents, such as purchase orders, invoices, or account statements. Documents should be designed so that they are useful on the context of a problem domain, which may suggest their use with one or more services. Similarly to a real-world paper document, a document exchanged with a service will include redundant information. For example, a customer ID might be included along with the customer’s address information (although the customer ID would be enough). This redundancy is explicitly accepted since it serves to isolate the service interface from the underlying data model of both service consumer and service provider. Whena document-oriented pattern is applied, service invocations become meaningful exchanges of business messages instead of context-free RPC calls. While not an absolute required, it can usually be assumed that XML will be used as the document format/syntax. Messages flowing between participants in an SOA connect disparate systems that evolve independently of each other. The loose coupling principle mandates that the dependence on common knowledge ought to be as small as possible. When messages are sent in a Distributed Objects or RPC infrastructure, client and server can rely on a set of proxy classes (stubs and skeletons) generated from the same interface description document. If this is not the case, communication ceases on the assumption that the contract does not support interaction between those two parties. For this reason, RPC-style infrastructures require synchronized evolution of client and server program code. Time: When participants are loosely coupled in time, they don’t have to be up and running at the same time to communicate. This requires some way of buffering/queuing in between them, although the approach taken for this is irrelevant. When one participant sends a message to the other one, it does not rely on an immediate answer message to continue processing (neither logically, nor physically). Location: If participants query for the address of participants they intend to communicate with, the location can change without having to re-program, reconfigure or even restart the communication partners. This implies some sort of lookup process using a directory or address that stores service endpoint addresses. Type: In an analogy to the concept of static vs. dynamic and weak vs. strong typing in programming languages, a participant can either rely on all or only on parts of a document structure to perform its work. Version: Participants can depend on a specific version of a service interface, or be resilient to change (to a certain degree). The more exact the version match has to be, the less loosely coupled the participants (in this dimension). A good principle to follow is Postel’s Law: Service providers should be implemented to accept as many different versions as possible, and thus be liberal in what they accept (and possibly even tolerant of errors), while service consumers should do their best to conform to exact grammars and document types. This increases the overall system’s stability and flexibility. Cardinality: There may be a 1:1-relationship between service consumers and service providers, especially in cases where a request/response interaction takes place or an explicit message queue is used. In other cases, a service consumer (which in this case is more reasonably called a “message sender” or “event source” may neither know nor care about the number of recipients of a message. Lookup: A participant that intends to invoke a service can either rely on a (physical or logical) name of a service provider to communicate with, or it can perform a lookup operation first, using a description of a set of capabilities instead. This implies a registry and/or repository that is able to match the consumer’s needs to a providers capabilities (either directly or indirectly). Interface: Participants may require adherence to a service-specific interface or they may support a generic interface. If a generic interface is used, all participants consuming this generic interface can interact with all participants providing it. While this may seem awkward at first sight, the principle of a single generic (uniform) interface is at the core of the WWW’s architecture. It is not always feasible nor even desirable to create a system that is loosely coupled in all of the dimensions mentioned above. For different types of services, different trade-offs need to be made. More discussion about dimensions of loose coupling can be found in Carlos Perez's excellent writings, e.g. here or here. A key principle to be followed in an SOA approach is the reliance on standards instead of proprietary APIs and formats. Standards exists for technical aspects such as data formats, metadata, transport and transfer protocols, as well as for business-level artifacts such as document types (e.g. in UBL). While this may seem absolutely obvious to many, some argue that a proprietary solution, such as those provided by some EAI or messaging vendors, follows SOA principles. This principle highlights the importance of standards - the more, the better. Of course it's arguable what relevance a specific has as there are so many to choose from. The most important aspect of any standard is its acceptance (which basically translates to "Microsoft needs to be on the author list" in case of Web services). No architectural principle should rely on any particular vendor’s product. To transform an abstract concept into a concrete, running system, it’s unavoidable to decide on specific products, both commercial and free/open source software. None of these decisions must have implications on an architectural level. This implies reliance on both interoperability and portability standards as much as reasonably possible. As a result, a service provider or service consumer can be built using any technology that supports the appropriate standards, not restricted by any vendor roadmap. All of the metadata artifacts within the overall SOA need to be stored in a way that enables them to be discovered, retrieved and interpreted at both design and run time. Artifacts include descriptions of service interfaces, participants, endpoint and binding information, organizational units and responsibility, document types/schemas, consumer/provider relationships etc. As much as possible, usage of these artifacts should be automated by either code generation or interpretation and become part of the service and participant life cycle. This concludes my list of principles. Even if you don't agree with all of them - and frankly, I don't expect you to, at least not with all of them -, I hope you can use them to fuel some discussion! 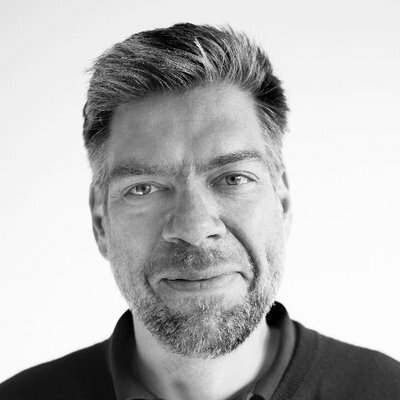 Stefan Tilkov is one of InfoQ's SOA editors and co-founder and a principal consultant at innoQ, a consultancy with offices in Germany and Switzerland. That was very well written piece. I couldn't have agreed more with the points that you have brought up. My favorite one is the one about document-centric interaction paradigm. In my experience atleast, it is one of the most difficult, yet conceptually elegant concepts to get a "buy-in". Especially from IT/IS departments who have been so habituated to RPC. OTOH, I feel that probably you could also have touched upon the notions of Service Granularity and Service Governance. Or do you think it kind of "folds into" one of the above tenets? With service granularity, I would claim it's sort of implied in document-orientation that services are coarse-grained. With regards to governance, you are probably right: the only "real" reference is the metadata aspect. This would probably be worth expanding -- I'll think about it. Thanks for the feedback! I'd like to see more to resolve the confusion around sync v async. The consumers view of async (I can carry on) is different and separable from from the services view (I can queue up requests). The fact that there is a buffer for requests does not mean the consumer either can or should carry on without a reply. Good point. I like to distinguish between blocking and non-blocking (on the client side) and synchronous vs. asynchronous (on the communication side). These are orthogonal to each other - i.e. one can do blocking asynchronous, non-blocking asynchronous as well as blocking or non-blocking synchronous calls. Each have their value. It is very good principles!. Let me challenge you a bit more. I propose you can trim point 1 down quite a bit! It says: Everything needed by the service to provide its functionality should be passed to it when it is invoked. The only way into and out of a service are [is?] through messages. I have seen others say much the same. And people who already know the meaning may not notice, but surely the words are misleading? The fact is that a service may not get all it needs from the invocation message. E.g. it may have to query a database before it can begin to process the input message. And there are others ways out of and into a service. E.g. when it queries that database it might do so by sending a message to what some call a data service*, or it might issue a remote procedure call, or (I guess) it might be actually be an SOA-enabled stored procedure. * BTW, how can a client distinguish a data service from a business service? I don't think there is in fact a distinction between them, only some designer expectations about where the service is deployed.